When Xiaomi announced its Mi A1 (review) last year, the handset was special for several reasons. Not only the phone was a comeback vehicle for Google’s Android One program, it was also the first time that Xiaomi ditched its proprietary MIUI interface in favour of stock Android. Now, the brand has launched the second-generation Android One offering, aptly dubbed the Mi A2 (first impressions). If you are wondering what all makes the Xiaomi Mi A2 special, then you are at the right place. The Xiaomi Mi A2 comes with a similar design and form factor as that of the Redmi Note 5 Pro (review). The smartphone features a 5.99-inch IPS display up front and is constructed out of aluminium. The screen bears an FHD+ resolution with an 18:9 aspect ratio. The display also gets a layer of Corning Gorilla Glass 5 to protect against scratches. Along with the usual colour options of black, gold and rose gold, the phone will also be available in a blue hue. As mentioned above, the Xiaomi Mi A2 is an Android One smartphone, which means it comes with the stock Android 8.1 Oreo. You get all the Android goodies minus the resource-hungry skin and animations bogging it down. Further, the absence of bloatware means the Mi A2 performs quite smoothly. The Android One branding also means that the phone will get software support directly from Google. You can be sure that the Mi A2 will receive two major Android updates including the Android P and Q. Further, the device will be receiving these updates soon after the Pixel lineup, which means ahead of the most other handsets in the market. The smartphone is also entitled to regular updates and security patches for three years. 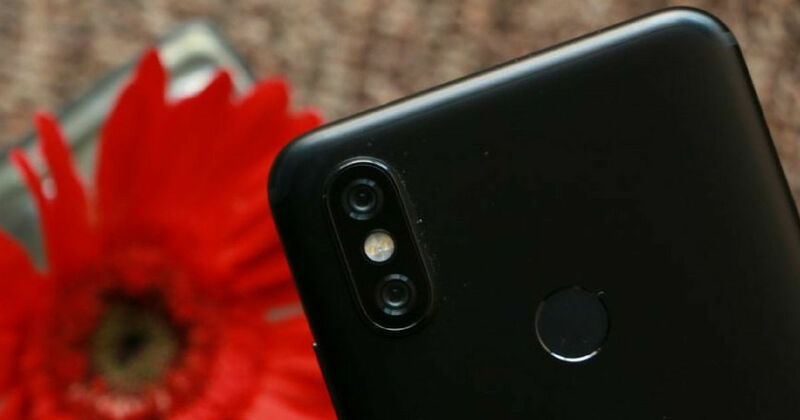 The imaging department is where the Xiaomi Mi A2 gets a serious upgrade over its predecessor. The brand has equipped its latest with a dual-camera setup at the rear, comprising a 12MP f/1.75 shooter and a 20MP f/1.75 snapper. One party trick that Xiaomi has used is that the camera module on the rear automatically switches to the 20MP sensor in low light, promising a better result. The user can also manually switch between two cameras in the pro mode, which is a nifty addition. On the front, the handset flaunts a 20-megapixel f/2.2 shooter with dedicated LED flash for selfies. The smartphone is capable of clicking portrait images with both rear and front cameras. Users can also record 4K, time-lapse and slow-motion videos. The Xiaomi Mi A2 utilises the Qualcomm Snapdragon 660 chipset ticking at its core, which is the most powerful silicon in the Snapdragon 600 series. The chipset is mated to Adreno 512 GPU and 4GB or 6GB of RAM depending upon the variant. However, the 6GB variant might not be launched in India. For storage, the handset has been launched in 32GB, 64GB, and 128GB variants, but the company might launch only the 64GB model in the subcontinent. The smartphone is backed by a 3,010mAh battery, with support for Quick Charge 4.0. Xiaomi’s Mi A2 will be made available in India in two configurations, i.e. 4GB RAM/64GB storage and 6GB RAM/128 GB storage. The former variant has been priced by the company at Rs 16,999 and will be available for pre-order starting Wednesday. The pricing and availability of the 6GB RAM variant have not been announced by the company just yet. For more details and updates regarding the Mi A2, stay tuned in to our website.